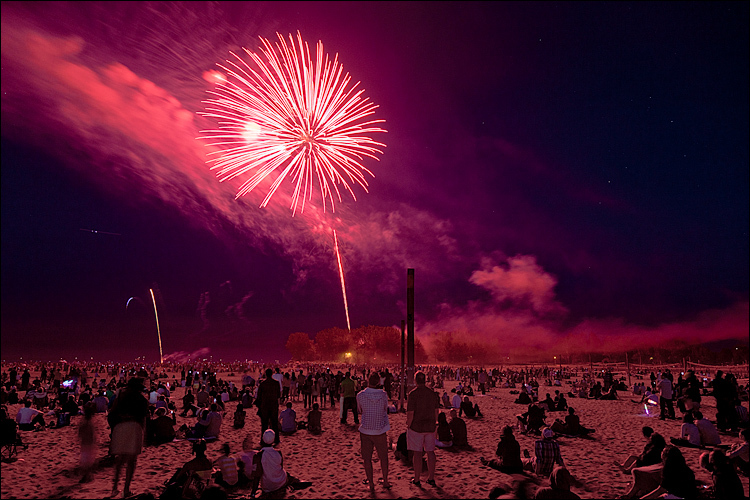 Canada Day Fireworks at Ashbridges Bay Beach. Note to self: Don't forget to take a tripod when you know there will be fireworks! I had to do this handheld while pressing the camera to a pole during the exposure to desperately keep it steady for 2 seconds!